We asked Ignacio, a Spanish national, why he chose LeapIN as the harbour for his business and why it's important to conduct business without borders. So, where did your business journey begin? I'm from Murcia, located between Valencia and Andalucia. I began my career as a developer working for large companies and governmental departments in the capital, Madrid, working on security and cryptography. As the launch of mobile applications exploded, I began focussing more on iOS development and became an iOS app developer. Although I enjoyed my role, I got tired of working in cubicles and wanted to experience more, so left my job to become a freelancer. I began freelancing in international startups. Yet I found there weren't a lot of companies offering remote work in Spain, plus the startup and entrepreneurial culture was not growing as rapidly as other countries, so I decided to take another leap and become a digital nomad. At first, my parents freaked out when I told them I would leave my steady job and explore the world! But now I'm much happier and actually earning more. Needless to say their attitude has changed somewhat. I founded Digital Leaves where I'm acting as a senior developer. As an entrepreneur I wanted to share my knowledge and help others become awesome iOS developers. Ultimately I build iOS applications and secure backends for startups, in addition to supporting them with both technical and product expertise. Plus, I'm a solopreneur and blogger. Here's my blog about entrepreneurship and the digital nomad lifestyle. How did you hear about e-Residency and why the need? Back in Madrid I was enjoying the freelancing lifestyle and working 60 hours a week. Yet, the tax system was complicated and confusing — I needed an accountant for everything, which made handling my taxes and managing a business as a digital nomad extremely difficult. For example, even if I didn't earn any profit, each month I still had to pay €340 in taxes. I couldn't understand this and hoped that there's a better way. Every year my partner and I move abroad for one month to explore and experience different cities within Spain and Europe, and to visit other digital nomad communities. 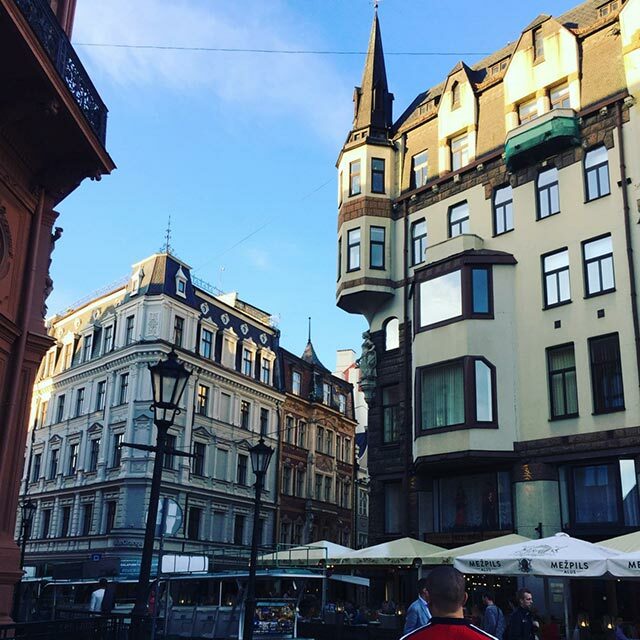 It was on these travels that we found ourselves in Riga and their tech hub. Whilst in Riga we talked to the managers and they told us about the micro company system there, so I began to consider setting up a company in Latvia. During our considerations, Luke, a designer friend of mine, who I had worked with in a startup called Zipwire (and who also happens to be a digital nomad), actually told me "you really need to check out Estonia because of the excellent e-Residency programme that lets you manage your business anywhere in the world." Naturally curious, I researched the programme and the more I read and discussed this with others, the more positive feedback I received. It was inevitable that we decided to found our companies in Estonia. But why Estonia over Latvia? Latvia has a wonderful micro-company system that offers great tax conditions for small startups and entrepreneurs. But the company was still attached to a country, a physical presence and account were still required. I really wanted the freedom to roam wherever I wanted to be. Did you have to go to Estonia to set up your company? Only for opening the bank account in LHV. I use TransferWise a lot and love their service, but I felt it was worth having a bank account — the benefits of having a bank outweighed a money transfer service like TransferWise. The process of opening the account was smooth and easy, everything was ready for me. It's harder to open a bank account in Spain, and I'm Spanish! It was much easier in Estonia! And since getting set up, have you kept up the life of a digital nomad? Yes, indeed. We usually stay for 6-12 months in a place before moving somewhere else. Recently, we've kept our focal point in the Baltics, especially Latvia and Estonia. Our next destination will probably be Budapest, although we're considering Chiang Mai too. So why did you choose LeapIN? On the e-Residency website they list several service providers, but I chose LeapIN because their website was modern (always appeals to developers like me), the pricing was clear and transparent, and their startup feel resonated with me — they're not just a bunch of accountants or lawyers. Plus, it was important to me how smooth LeapIN's sign-up process was. It included questions like what type of business am I? What type of work do I offer? Who are my customers? Rather than describing me as a 'small business' — a junior version of an enterprise. I like to believe I'm more than just a freelancer, and this approach was refreshing. In Spain they don't have segmented options — I'd be labelled as a telecommunications guy — the same as a telecoms engineer, when I'm so much more. In essence I could completely relate to what they're offering, as this is what I am. How has your experience been overall as a LeapIN customer? A pleasure. As a previous owner of companies in other countries (Spain, UK), operating my Estonian company is a dream come true, especially thanks to your dashboard and support. To begin with, your dashboard allows me to quickly upload necessary documents (invoices, expenses, etc) and forget about them. That allows me to focus on my business. Then, when I need to pay VAT or taxes, I receive a notification and I just need to login and approve the transaction. Your staff and support team are top notch also. You make things easier for us, solopreneurs and digital nomads, and that adds a lot of value to my business. And where's the most interesting place you've logged in from? Actually, I was celebrating my wedding anniversary at the Canary Islands, and I got an email from you requesting some missing documents. As we were going to stay there for a week, and not wanting to miss any deadline, I logged in from my iPad, authorizing the request via Smart-ID with my phone. Two clicks later, I'd fulfilled my duties. It was one of the most enlightening moments of my entrepreneurial life. At that very moment, I realized what "location independence" truly means. 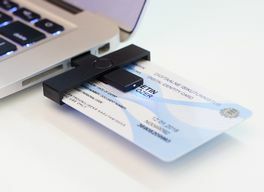 Of course, this is possible by a combination of the smart e-Residency program, and how the Estonian companies, banks and service providers have taken advantage of this technological revolution. Have you ever had to contact our support team? How was the experience? The support staff at LeapIN have been absolutely amazing. They're not only extremely professional, but most importantly, very "human" and emphatic. A lot of big corporations that show an arrogant attitude these days (Apple, Google, etc), should really learn from LeapIN staff. Generally speaking, the LeapIN dashboard is great. It's simple and to the point. I can login, know what I need to do, do it, log out, and keep on taking care of business. LHV have this awesome contact page where you can contact them directly via Skype. I think this is a fantastic idea. Sometimes, you need to contact support urgently and email is not fast enough. Why should others consider Estonian e-Residency and LeapIN? One word. Freedom. I'm a developer and an entrepreneur and I want to take care of my business — primarily taking care of my customers and their clients. I don't want the headache of dealing with legal compliance, taxes and subsequent government interference. In fact it's so straightforward I wrote about it here. Yes, I've meet some of them in Tallinn and even start collaborating with an Estonian startup founded by e-residents. Additionally, in my blog, Micropreneur Life, I've been lucky enough to be in touch with e-residents and have encouraged a lot of people to become e-residents and open a company with LeapIN too. I'm regularly in touch with some of them, I've made a few friends, and helped some people find a solution to their problems, which makes me really proud. I've heard lots of interesting stories, very similar to mine. Freelancers, solopreneurs and entrepreneurs that felt trapped because they needed a way of running a business without frontiers, remotely. The e-Residency program has allowed us all to have a common online framework to thrive, grow and meet. 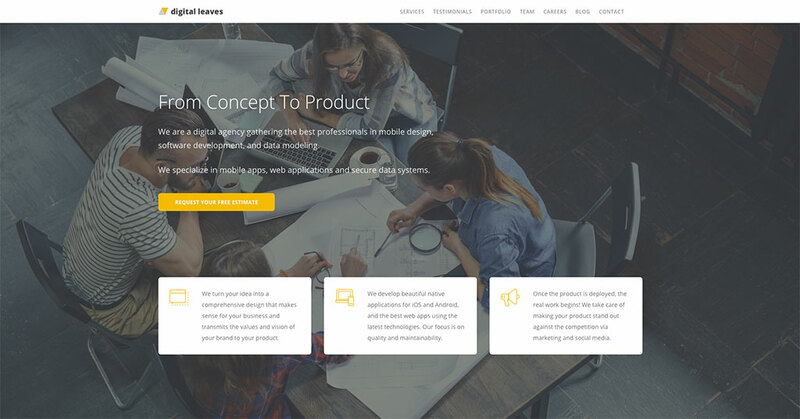 LeapIN has made it easy for some of us to build a company, focus on our business, and forget about bureaucracy and paperwork. And that's priceless. Do you feel e-Residency will grow? How do you see the future of work? I believe the digital nomad movement will only keep growing, although there's a strong political reaction to close frontiers, to make the world a smaller, more isolated place. Examples include the right wing US politics with President Trump, the Brexit referendum, and Catalonians willing to leave the EU for a nationalist dream. However, in spite of that, I believe that the younger generation are increasingly growing tired of being told that they cannot travel freely, work wherever they want, and live in a world without borders. There's a push for a more free, open world, where countries and nationalities will eventually lose their importance. People including myself are rejecting these borders, with workers pushing beyond these state boundaries. You see it from everywhere — the rise of digital and cryptocurrencies, Uber, AirBnB — traditional type employment is decreasing — and eventually will become obsolete.